I have been playing around with OpenBlocks. It’s a very flexible environment to create a new block language. When it comes to design one for Arduino, I found myself wondering between two different styles of design. The first design is of course to follow the Arduino Language Reference closely. However, the resulting block language seems to be a bit too “verbose?” Or should I say “busy” since it’s really a graphical representation of the textual program. Here is a sample of what it looks like for the equivalence of codes here. This language is more concise and easier to understand. The language itself should provide enough meta info to infer the setup codes. However, in order to do this, the language may need a little runtime (OS?) to be compiled along with the Sketch but it seems to be worth the effort. The OpenBlocks codes I am playing around with the idea is available at my openblocks on github. Appreciate any feedback on this. Fascinating work on Block languages. I’ll be following! Fascinating work….. I’m going to follow and try it out with some 6-8 graders. I had a chance to ask a few of the kids on my robotics team about the two forms…and interesting enough, they all liked the “verbose” form better. Comments went much like, “Still easier than having to remember specific language statements, but instantly recognizable for function”. “Nothing to puzzle out….can jump right in with current JAVA experience”..
Hi Doc, we are going with the verbose design as well. Please keep us posted about your and your team’s experience of ArduBlock. Any feedback is greatly appreciated. I’m 32 and just starting out with programming and, I prefer design 1. I think it would make for a more natural transition in the future. Yup, that’s the one we went with. any idea what I am doing wrong?? running ubuntu and arduino uno with 0023 version complier. downloaded the block language and put it in arduino library. but I cant get it to open….. Please refer to the installation document. I must be reading it wrong…… or it is implying that I have files that I do not…either way I would love to try this but I cannot get it to run…. I am having the same trouble. I cant seem to get the Arduino IDE to recognize the ardublocks Jar file. Please help us with this. I have done everything in the installation. Could you give me more detail of your setup? OS? 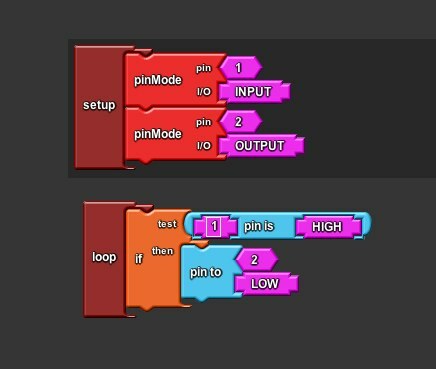 Path where ardublock-all.jar installed? JDK/JRE version? Thanks. to put the arduclock-all.jar into the folder I have to create the path……. also do I not have to extract it?? 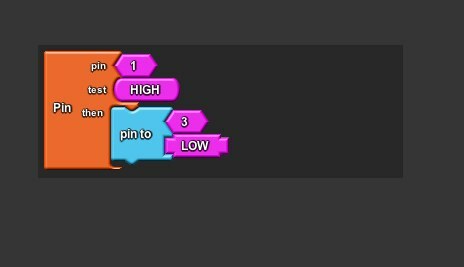 i’ve try using ardublock n it’s very cool programming way, but i’ve some trouble when i using input because i cant decide the input changing state, whether is go to low or goto high..